When a job comes down to the workroom the first thing we do is look over the ticket. 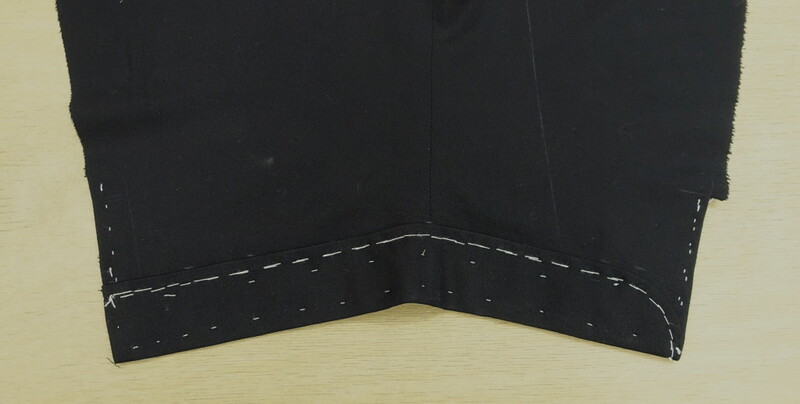 From time to time a customer might request a special detail on their jacket, such as turn back cuffs. Although turn back cuffs give the illusion of the edge of the sleeve being folded back, the cuffs are actually made up as a separate piece from the sleeve itself. 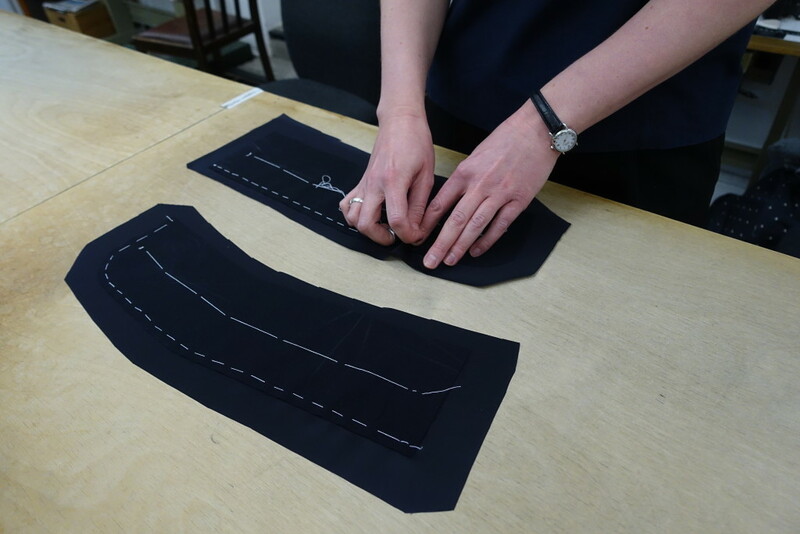 Before marking up and cutting out the turn back cuffs it is important to make sure that the grain of the cloth is laid exactly the same as that of the sleeve. If the cloth is a check, stripe or a herringbone then the cloth on the cuff must be a continuation of this. The shape of the curve is chalked freehand and the width of the turn back is decided. This is usually judged by where the first cuff button begins and also what we think will be a suitable width aesthetically. 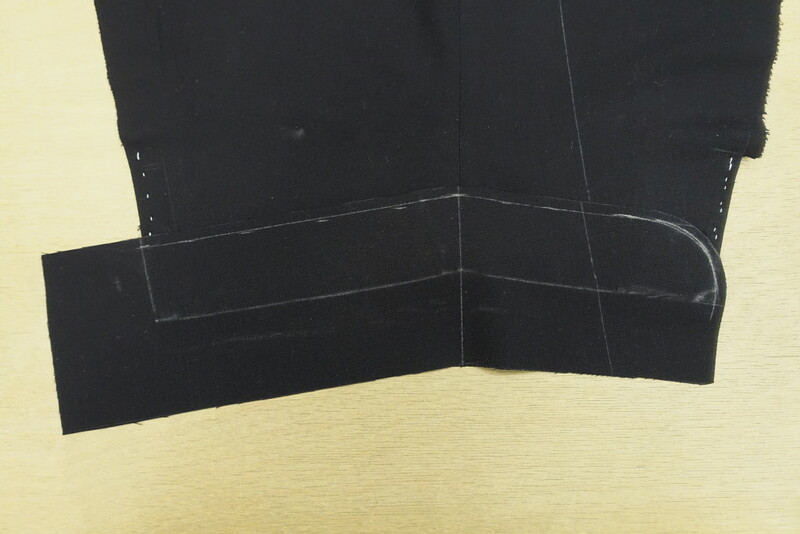 Once the turn back is marked up and cut out we then cut some lining on the bias and make them up. 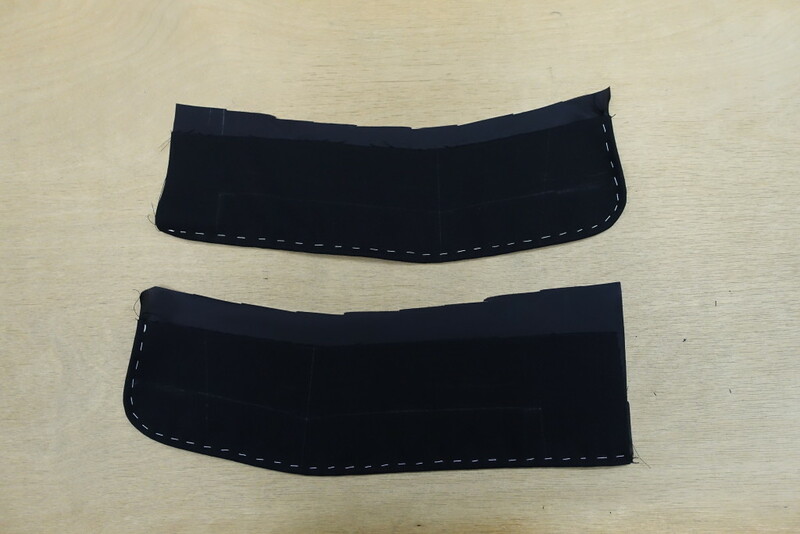 The cuff is made up similarly to the way a pocket flap is done. Once the cuffs are made up, turned through and pressed, they are basted in place to the job before attaching by hand. Doing this by hand allows a greater amount of manipulation to the cloth that you wouldn’t be able to achieve by using the machine and this is what adds beauty and charm to a bespoke piece. We use hand silk on the reverse side of the sleeve to attach the cuff and when the sleeve is made up this is then covered with the lining. Hand silk is a lot stronger than machine silk and is used in a lot of the finishing of an Anderson and Sheppard jacket. Although it can sometimes be a time consuming extra to a job, its nice to have a challenge and make something slightly different. It is quite a rarity that we get customers requesting turn back cuffs, but once the job is made up it definitely gives an added elegance to a jacket.